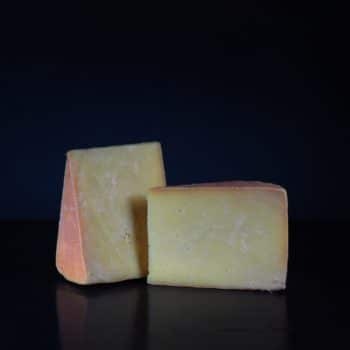 Westray Wife has a smooth texture with a rich, salty taste and hints of hay meadows. 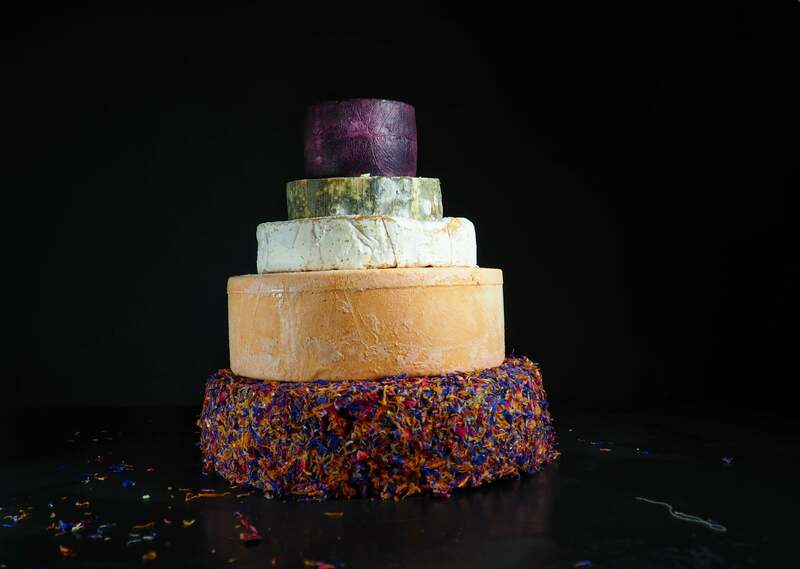 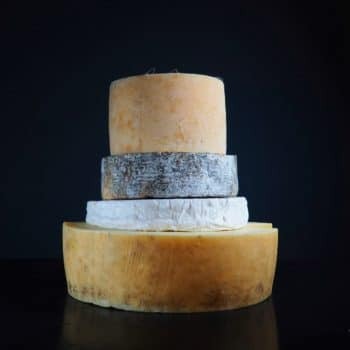 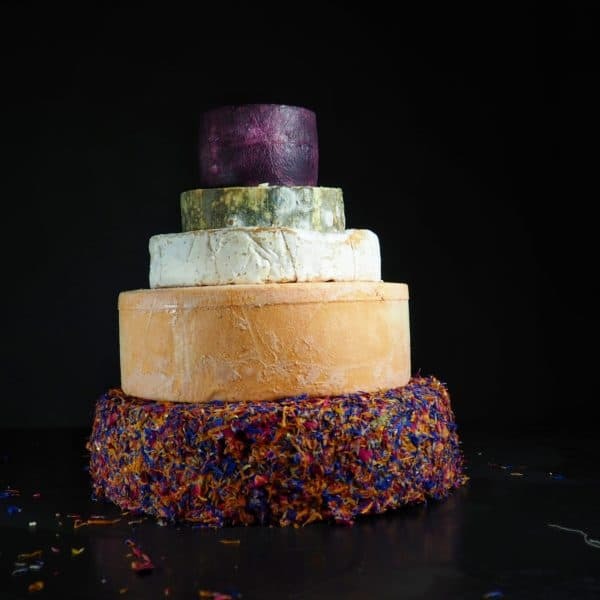 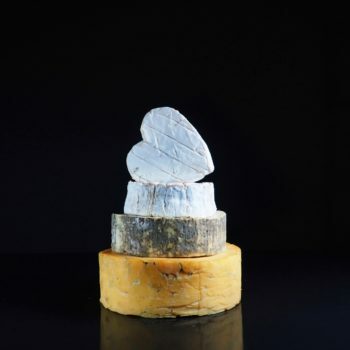 It is similar in style to Alpine cheeses like Raclette and Morbier, lending itself well to melting over potatoes as well as complementing the more traditional Scottish cheeses. 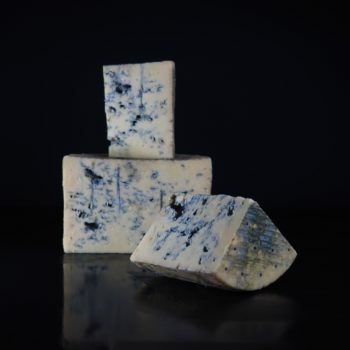 Made in the Orkney Isles this cheese is fully organic. 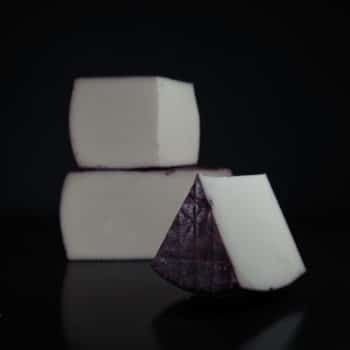 This is a pressed goat’s cheese that has been immersed in red wine during the maturation, sometimes known as Drunken Goat. 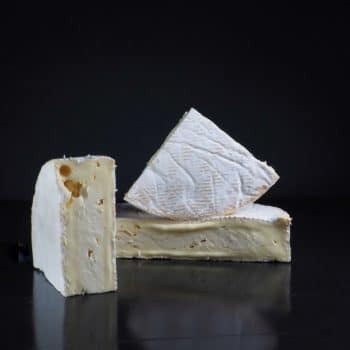 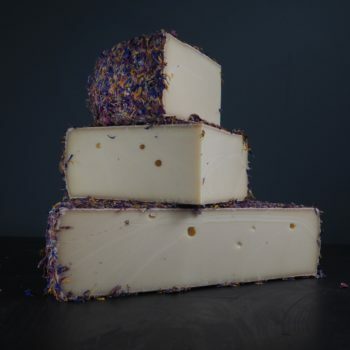 This process gives the rind a purple colour, which contrasts beautifully with the stark white flesh and a hint of wine to the smooth and creamy flavour.